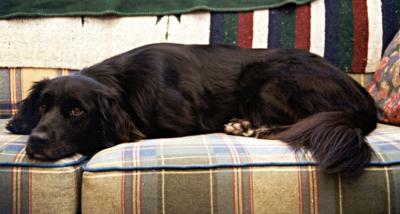 The following pictures were taken (mostly) in January 2000. 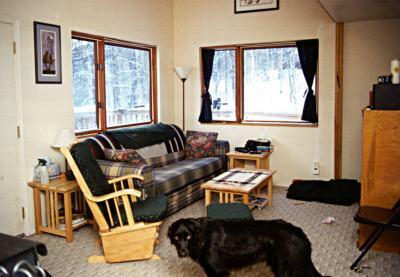 If you'd like to see some more photos, this page has some photos from December 1999, and this page has some older shots from May 1999 before we moved in. The most recent shots are from May 2000 on this page, showing our new truck and the work on our water tank. All photographs on this page are Copyright © 1999, Andrea Swingley, my lovely wife. Each of the twenty photographs are between 15 - 35 K, so the page will load very slowly over a modem link. 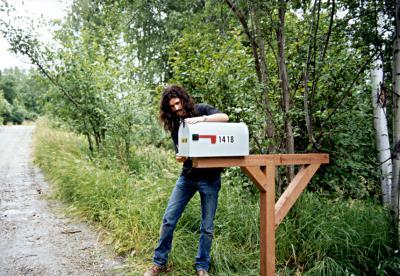 Here's me installing our new mailbox. 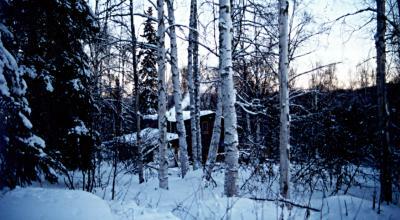 Here's a shot of the house from the road. 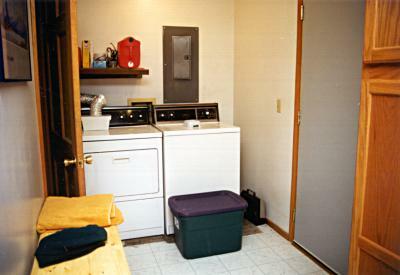 This is the laundry area that is to the right of the door out to the garage. When standing here the kitchen is behind you and the downstairs bathroom is to the left. 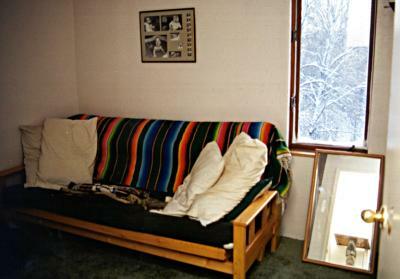 This photo was taken from the same position in front of the door to the garage, but toward the kitchen. 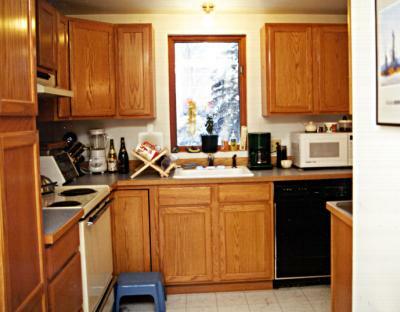 On the right are more cabinets and the dining room. 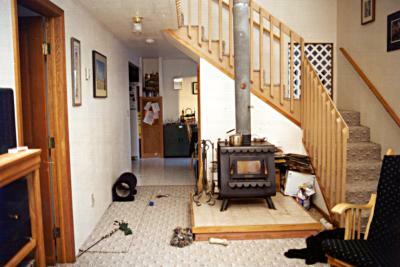 This is a shot from in front of the stove, toward the dining room. 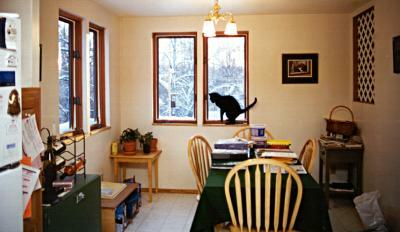 That's Darwin in the window watching birds. Andrea took this picture from the living room, toward the dining room. At the bottom of the stairs is the door to the deck, and on the left is the door to the library. 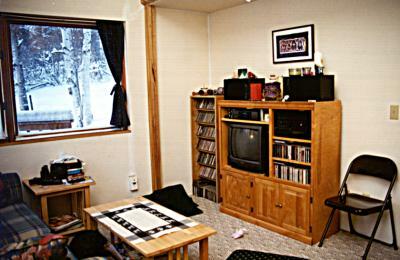 This is the entertainment center that is the focus of attention while sitting on the couch or chair in the living room. 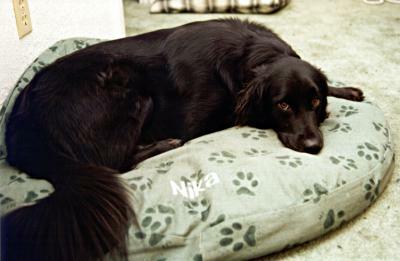 Another shot of the living room, this one with Nika in it. 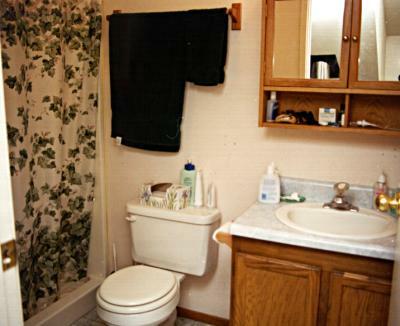 This is the upstairs bathroom. I put this in here mostly to prove to my friends and family that we do indeed have a toilet, sink, and a shower. This is what the front of the master bedroom looks like. 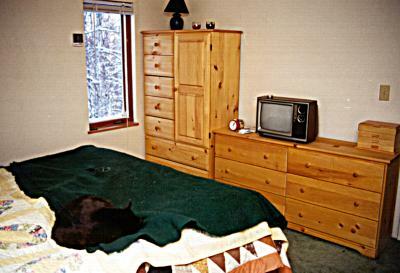 There's a lot more to the guest bedroom than this, but this picture shows what it looks like from the doorway. This is where Nika sleeps when we're in bed. 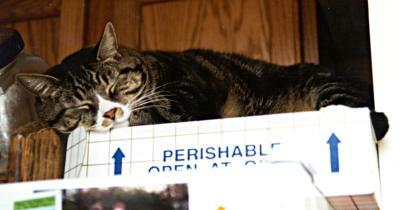 Alexi's new favorite spot on top of the refridgerator.